The follow up to the well received The Unforgettable Fire made U2 globally famous and delivered some of the best songs that the 80's could muster. The Joshua Tree 's lyrics delved into the politics of the US Government, heroin addition, love, spirituality and other social issues. Can you believe it's been thirty years since the album was released? 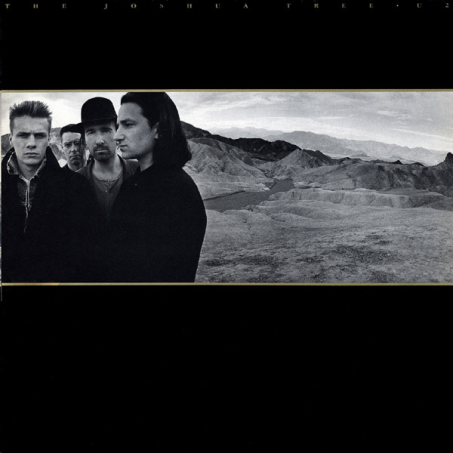 The Joshua Tree sold over 30 million albums and the songs With Or Without and Where the Streets Have No Name are played at every single concert as the fans have been known to riot if they are not played! The Joshua Tree recording sessions also produced some pretty sweet B-sides such as Silver and Gold and Sweetest Thing (The Single Mix). Fun (sad) fact: One Tree Hill is only ever really played in NZ as a tribute to Greg Caroll, a friend of U2 who as killed while employed by U2. When U2 played it in Auckland in 2010 it was dedicated to the miners of the Pike River Mine Disaster.